The 10 countries included in the report are: Belarus,Bulgaria,Czech,Hungary,Moldova,Poland,Romania,Serbia,Slovenia,Ukraine. 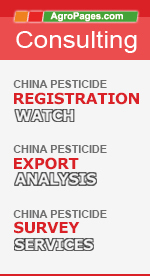 For each country, the report profiles top 40~50 agrochemical companies in the market, providing brief business information for each company, like product catageory & services, contact information. This report can help you get a quick knowledge of the major players in this market and locate your potential partners. You can purchase the report by country, 550 USD/country.